People familiar with Jack Hammer comics would surely know of this legendary character. Finally, a game developer has managed to come up with a point to point rendition of this remarkable crime-fighting detective. The Jack Hammer game adventure comic series has been quite popular over the years amongst reading enthusiasts but who would have thought that a casino game developer would be building on the character and making a full-fledged title of it. This has been made possible by the Jack Hammer series created by Netent. For those of you who aren’t familiar with the character, Jack Hammer slot is a crime-fighting private detective who is regularly called upon by the police department to solve different cases. Netent has made the entire title more or less the same as it has been presented in the comic books. The background of the game is the dark silhouetted Grand City with yellow lights flickering from the windows. There are also interesting symbols within the title including our protagonist himself, the evil Dr Wuten, a damsel in distress, newspaper clipping, a telephone, beaker containing dangerous poison and a car. The soundtrack goes perfectly well with the theme here with suspenseful music playing during the game. Scatters: The ticking time bomb is the scatter symbol within the title. Wilds: The engraved “Wild” icon within the production is the wild symbol here. It has the power to replace all other symbols here except for scatters and bonus. Free spins: Getting five, six, seven, eight, nine to fifteen of the ticking time bomb symbol will give you 10, 15, 20, 25 and 30 free spins. You can trigger them again and again within the round. 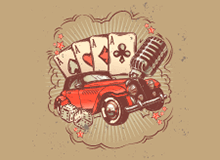 All the free spins prizes come with a 3X multiplier. Sticky wins: This is an extra round that is triggered every time a player lands a winning combination or three or more free spins. Your winning combination here will remain intact and you will be entitled to further free spins as long as you can make a winning combination. As soon as you stop getting winning combos, the round will end, and all your prize money up till that point will be calculated. 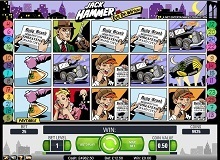 One can play Jack Hammer slot machine online on different devices today. The advent of smartphones and tablets has made casinos think of widening their bases from just desktops to mobile phones. Most of the sites make use of HTML5 and flash technology today. A good strategy while playing this title is to hit the maximum number of free spins possible. 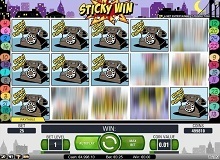 The sticky wilds combination along with free spins takes care of the rest and can get you instant and continuous big money wins. Apart from this, there are no standard tips, standard rules or cheats available to play the game. 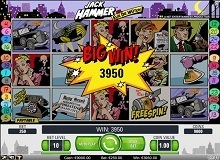 Gamblers can play Jack Hammer slots for real money as well as for free on a number of different casinos online. The comic book visuals of the title along with its innovative features gel very well to create a vibrant game. Offering up to 3000 times your stake, this high volatility game is a must play for both high and low rollers.